This booklet was written by Dr Christoph Brochhausen-Delius, deputy director at the Institute of Pathology at the University of Regensburg, Germany. It focuses on biobanking and the ongoing challenge for personalised medicine, as well as discussing project BRoTHER and how it is helping spread the idea of biobanking to young academics and the broader public. Biobanks store human biological samples for use in research. Since the late 1990s they have become an important resource in medical research, aiding various types of contemporary research like genomics and personalised medicine. 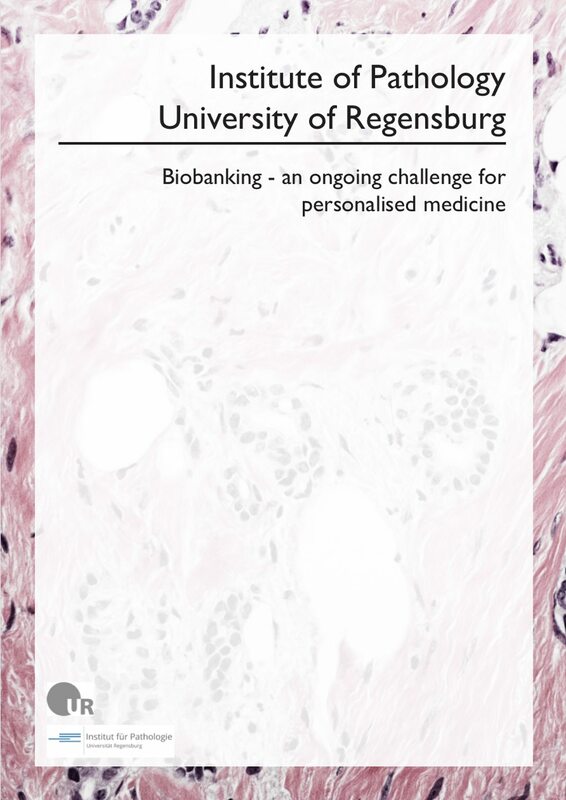 How does biobanking fit into personalised medicine? Biobanks represent crucial resources for both clinical and basic science. They are closely connected to the development of the concept of personalised medicine. Biobanks are important for all the elements of personalised medicine, including research in prognosis and prediction. There has been a rapid development regarding the number of new biobanks and the dimension of existing ones over the last 20 years. Having a biobank specimen be of good quality and integrity relies heavily on the best pre-analytical conditions, the documentation of all pre-analytical processes, the storing conditions and harmonising the pre-analytical work-flow, and the documentations in different biobanks. Considering the variability of biobanks and their environment, it becomes clear that this a major challenge. On the other hand, the harmonisation of biobanks is crucial for building appropriate consortia for clinical and experimental trials in the cadre of personalised medicine. What is the BRoTHER project? BRoTHER (Biobank Research on Telemedical Approaches for Human Biobanks in a European Region) represents an international and interdisciplinary consortia project funded by a grant from the Bavarian State Ministry of Finance, Land Development and Homeland for a period of three years. The vision of BRoTHER is to facilitate the interaction and co-operation of the biobanks with the help of digitalisation. To reach this goal the project aims to create an interactive, inter-regional biobank network in the centre of Europe. It also aims to harmonise biobank infrastructures and activities related to effective international collaboration, as well as to experience exchange, workflows and the integration of study programme development.